This beautiful cross depicts the suffering of Christ. The focal point of the cross is the head of Christ wearing the crown of thorns. The cross measures 7 3/8” by 10 ¾”. 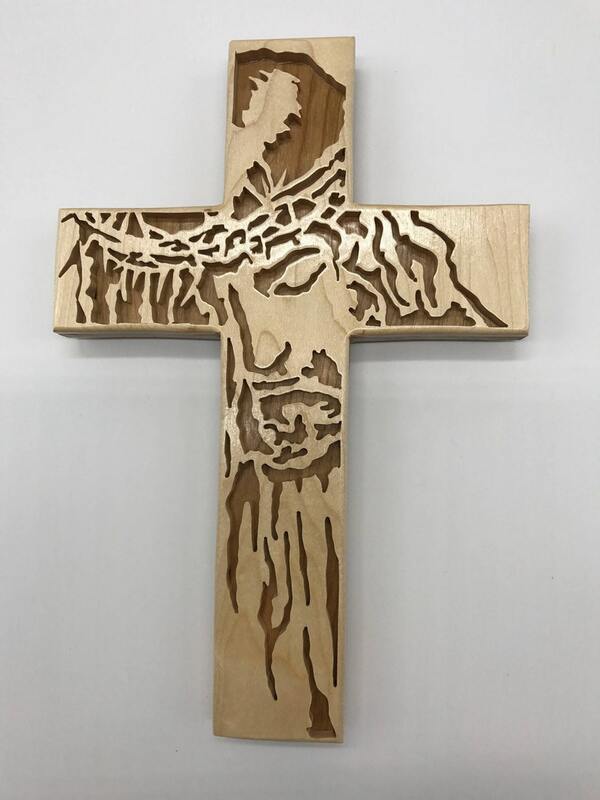 The cross is made of ½” thick cherry with a ¼” thick maple overlay. This cross was designed by Sue Mey. Very nice. Excited to give this beautiful cross as a gift. The cross is gorgeous in person. What beautiful workmanship, this will make a wonderful Christmas gift. Will be enjoyed for years. Beautiful with attention to detail.